This African Safari Geocoin created by Christopher Waddel is shaped like the continent of Africa. On the front are the silhouettes of 6 animals and an acacia tree, in front of a setting sun. 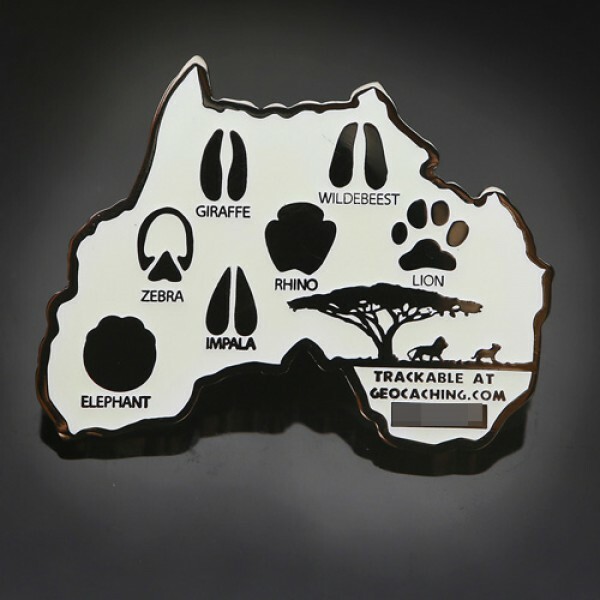 This African Safari Geocoin created by Christopher Waddel is shaped like the continent of Africa. On the front are the silhouettes of 6 animals and an acacia tree, in front of a setting sun. There are also 3D tyre tracks across the bottom half of the coin. - (size) 2 inches high, 3mm thick. 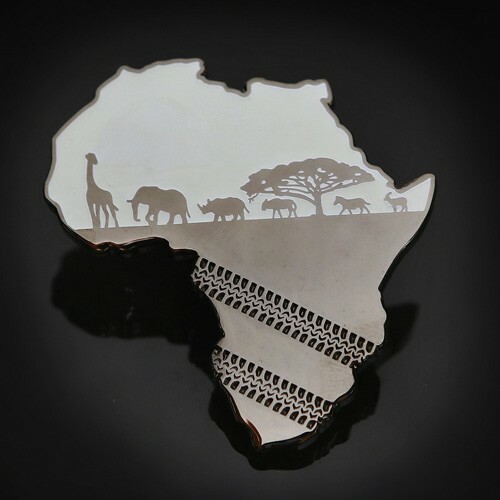 - All footprints on the back are of all the animals found on the coin. - Coloured versions are Black Nickel with coloured translucent hard enamels. - All of them are trackable with their own icon. Limited Edition: Only 40 geocoins made.